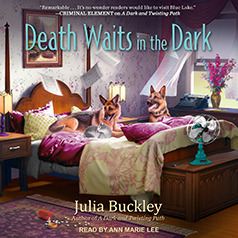 Julia Buckley presents Book 4 in the Writer's Apprentice series. Writer's apprentice Lena London is back and better than ever when her friend, bestselling suspense novelist Camilla Graham, needs help solving a town murder that hits a little too close to home . . . When Jane Wyland is later found dead, they're convinced that whatever secret she was planning to expose led to her death. With Lena's assistance, Camilla is determined to solve the case before the finger points at her . . .